Jason & Dyan Pithers are highly regarded and experienced Tampa Realtors. They are full-time real estate professionals that service The Greater Tampa Bay Area. For the past 17 years, Jason & Dyan Pithers have helped thousands of Buyers, Sellers, Investors and Renters with their real estate needs. 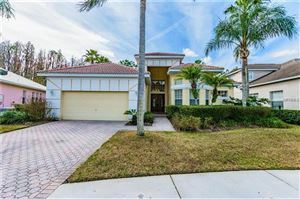 Their group, The Pithers Group, is a group of 6 experienced and well regarded Tampa Realtors. Jason & Dyan Pithers formed their team with the vision of assembling top notch individual agents that operate independently within a business structure. We are also unique in that our Tampa Real Estate group includes professionals who have extensive and highly regarded careers as a New York City Corporate Finance Lawyer, Chief Operating Officer of a London Barristers Firm, New York Real Estate Broker, Sales Executive, Pharmaceutical Specialists, Former Piano & Voice teachers, Florida Orchestra Member and New York City Public School Teacher. This combination of backgrounds makes us able to work together as a team to bring our collective experience to the table to work for you. 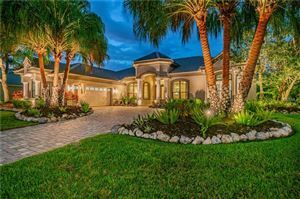 Our negotiating expertise, exceptional customer satisfaction and commitment to excellence allow us to put our client’s needs first and maintain our position as a top Tampa Bay Realtor group. Tampa Real Estate is a unique market with many separate and distinct neighborhoods and suburbs. Jason & Dyan Pithers are top-notch Tampa Realtors that know the neighborhoods and nuances of the market well and are poised to be your Tampa Bay Realtor. Jason & Dyan Pithers do not allow volume to compromise service. Whether a Buyer or a Seller, we have the time to dedicate to assist you with making choices and decisions about your real estate transaction. In order to dedicate our time to you, we have a full-time staff assisting us with our transactions, including 2 Coldwell Banker Office Administrators and a Full-Time Personal Assistant, Listing Manager & Transaction Manager. These competent individuals free up time for time to devote to you. Our Listing Manager & Transaction Manager handle the file from execution of the contract to closing. These competent individuals work together and alongside us to give you a pleasant real estate experience. Call us today to learn about how we set ourselves apart from the competition. 877-601-8732.